All Films have a lifetime unconditional (parts and labor 100%) guarantee. They won't bubble, peel, or go purple! This is an Australia-wide guarantee. Protecting the Gold Coast for over 40 years, Supertint have worked alongside local families as well as the biggest and the best in the building industry as the go-to for window tinting with experience on site from the smallest house projects to the biggest of skyscrapers like the Gold Coast's iconic Q1. Yes, we have tinted windows on the top of the Q1, and yes, it was terrifying. GULP. Giant buildings aside, we also tint cars, bikes, trucks, boats, tractors and pretty much anything / anywhere with glass. Life's just better with tinted windows. Established on the Gold Coast Highway since 1976, with a passionate team of family dedicated to providing pure excellence for our customers. Come and see us at our Gold Coast showroom today to get tint for your car, bike, boat, house, building, skyscraper, reading glasses.... or fish tank. Seriously, we have tinted glasses and fish tanks. There is no need to worry about overexposure to the damaging UV rays of the sun - our 3M tinting films significantly reduce the glare of the sun. Plus, each package comes paired with a bonus window cleaner and glass cloth. No wonder we're the number one choice for a car window tint in Gold Coast. We are so confident in our service, that all of our window tint films have a lifetime unconditional (parts and labour) guarantee across the whole of Australia - they won't bubble, peel or turn purple, promise! Supertint offers a unique two year accidental cover against any damage caused to the window tint within the first two years of the installation date. Install Couplertec Electronic Rustproofing today and drive your car as though it was sprayed only yesterday. Our rustproofing will block any and all rust away - and all installations are followed with a yearly checkup, to ensure that all is well. We supply and install durable and easy to use roof racks, suited to your needs and specifications: the team are happy to install roof racks, luggage boxes, bike and kayak carriers and more - don't let a heavy load hold you back. 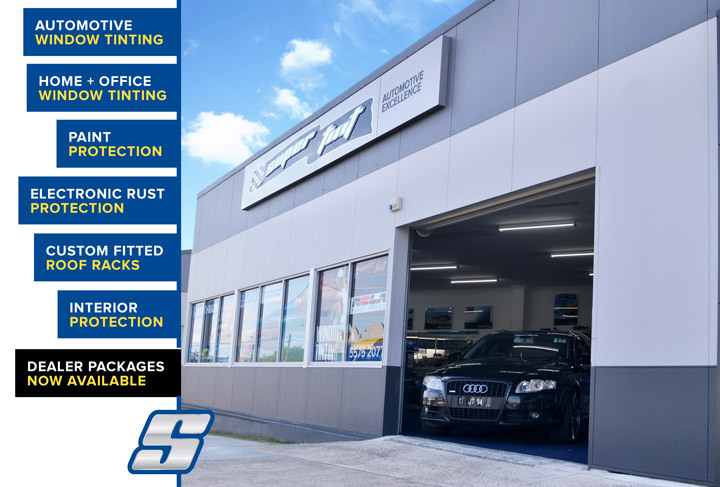 The most trusted facility for car tinting in Gold Coast, we have been serving our clients since 1976 - we are one of the few Gold Coast car window tinting firms to have stood the test of time, and we are excited to offer our services for many years to come. 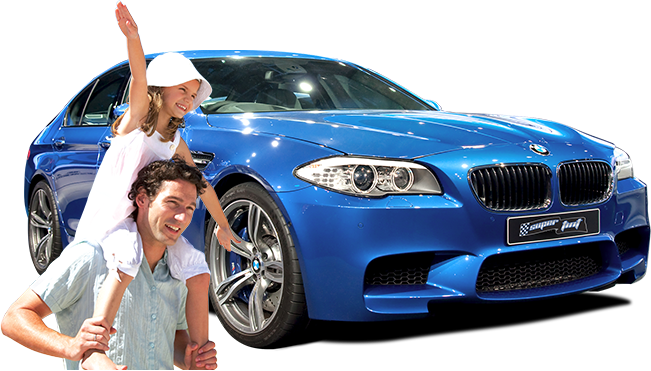 So Why Choose Supertint for Car Window Tinting in Gold Coast? We are fully licensed for installation and dealing of all products. We boast years of experience in the Gold Coast car window tinting industry. We have an extensive catalogue of returning clients, delighted with our installation work - we have operated as a family run and owned business since 1976 - what better testament to our services? We use the highest quality 3M films in every tint job. We offer a 100% customer satisfaction guarantee, and a lifetime warranty on all films. If you are not satisfied with our Gold Coast car tint service, we will not let you down!